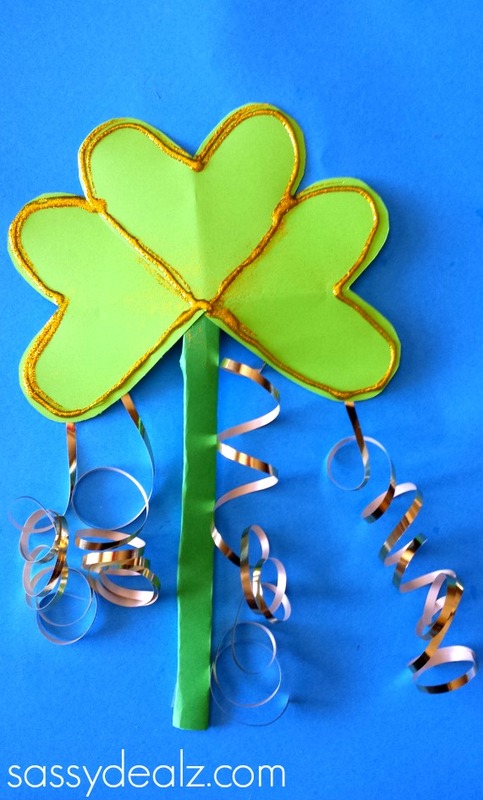 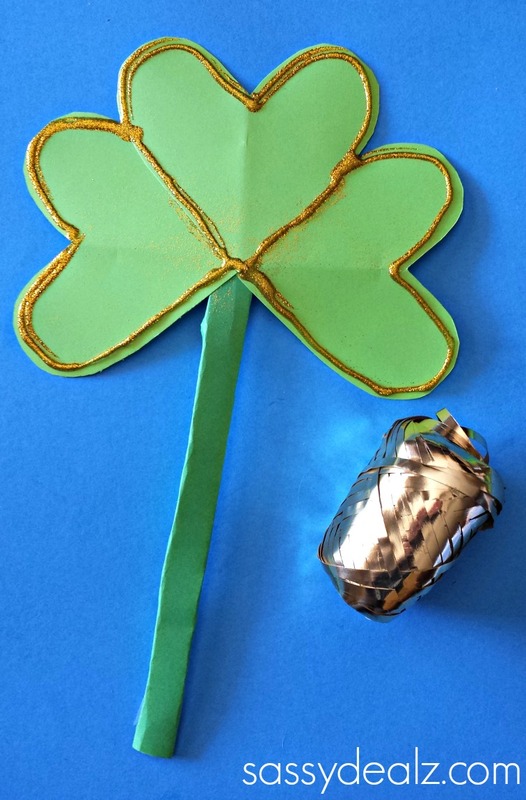 For St. Patrick’s Day, we made a pretty shamrock wand craft! 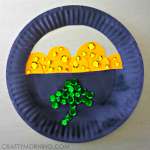 This is the perfect art project for little girls who love to play pretend fairies! 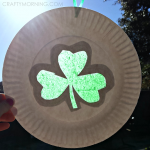 It’s an easy craft to make and can entertain kids for hours! 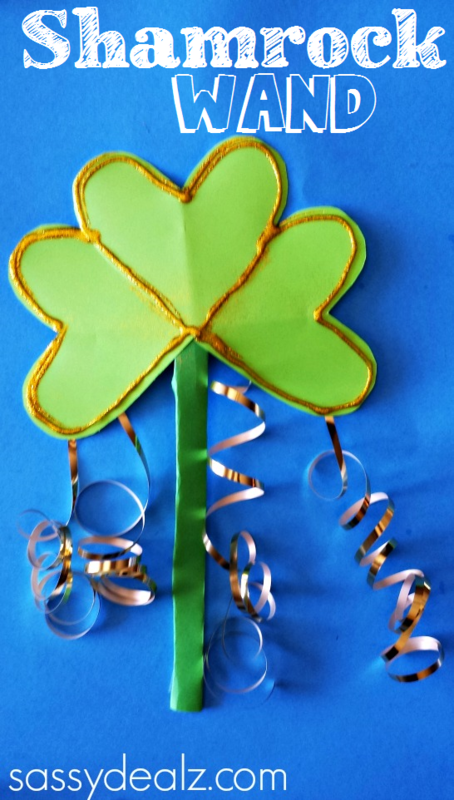 You can add more glitter on the shamrock to make it more sparkly! 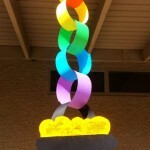 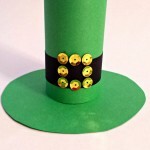 You will need green construction paper, gold ribbon, scissors, glue/tape, and gold glitter. 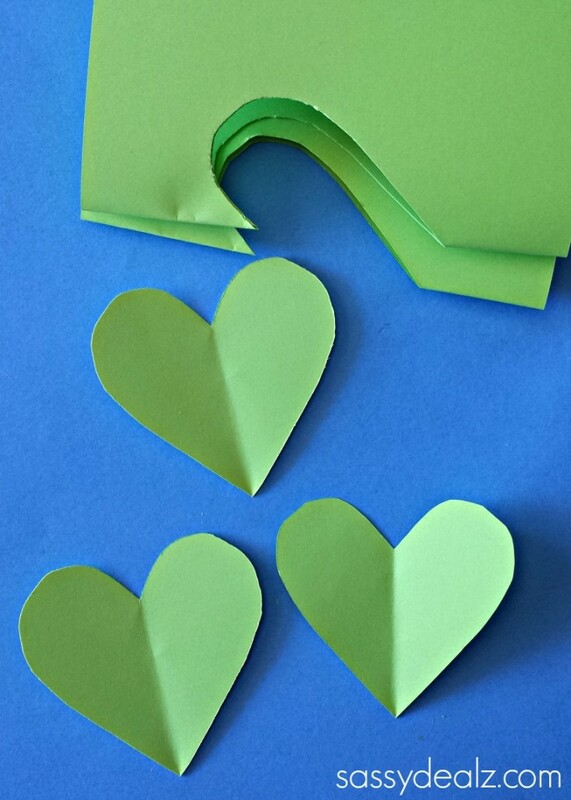 Start by folding the green paper and cutting out a heart. You will need three green hearts that are the same size. 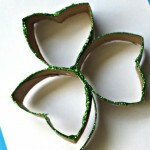 Glue the hearts together to make a shamrock shape. 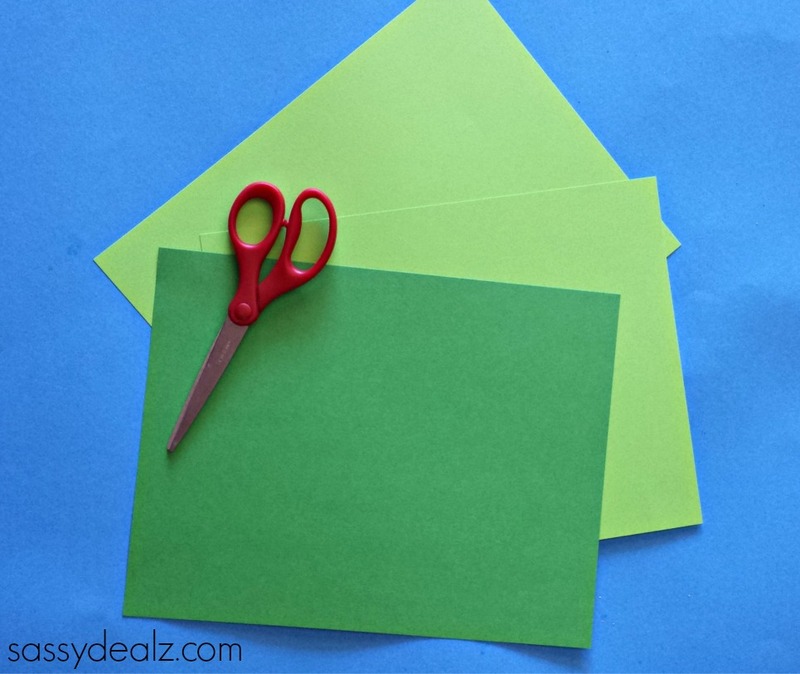 Take the darker green paper and fold it over until it’s a skinny wand. 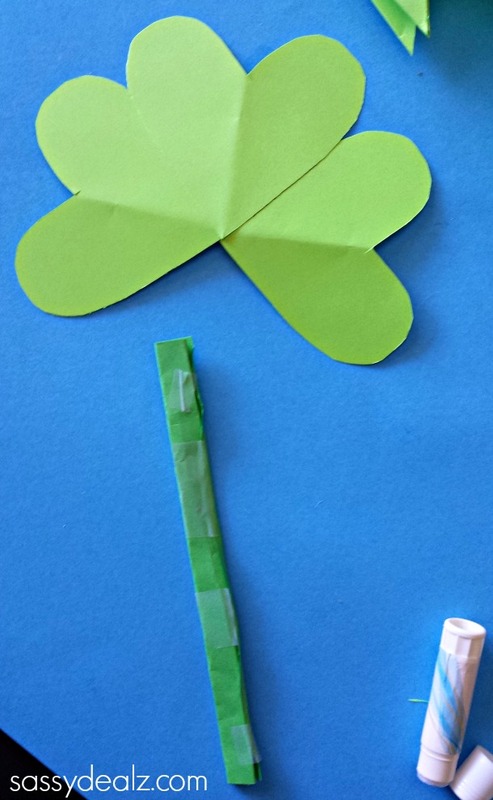 Tape the back to make it stay together. 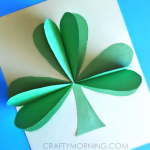 Put some glue around the outside of the shamrock shape and sprinkle gold glitter on. 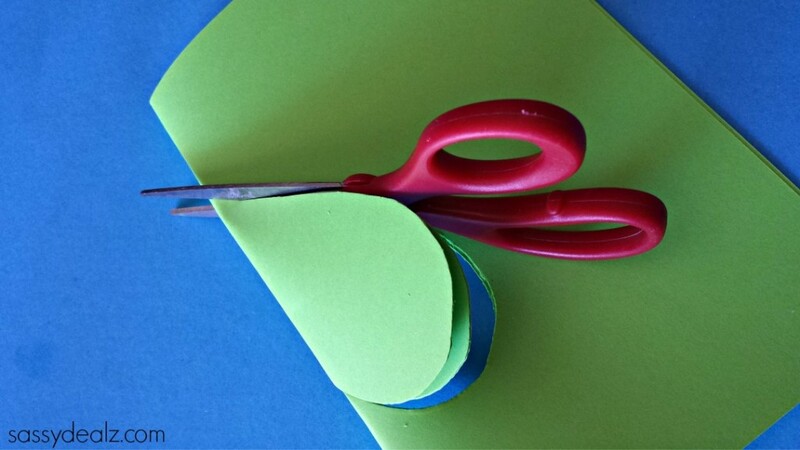 Cut some gold ribbon and curl it with a scissors. 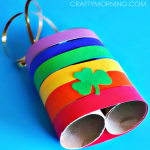 Tape them to the back of the shamrock and you’re done! 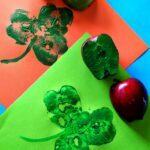 Thanks for the cute idea, KidsCreativeChaos! 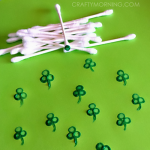 Cute crafts, especially shamrock wand.